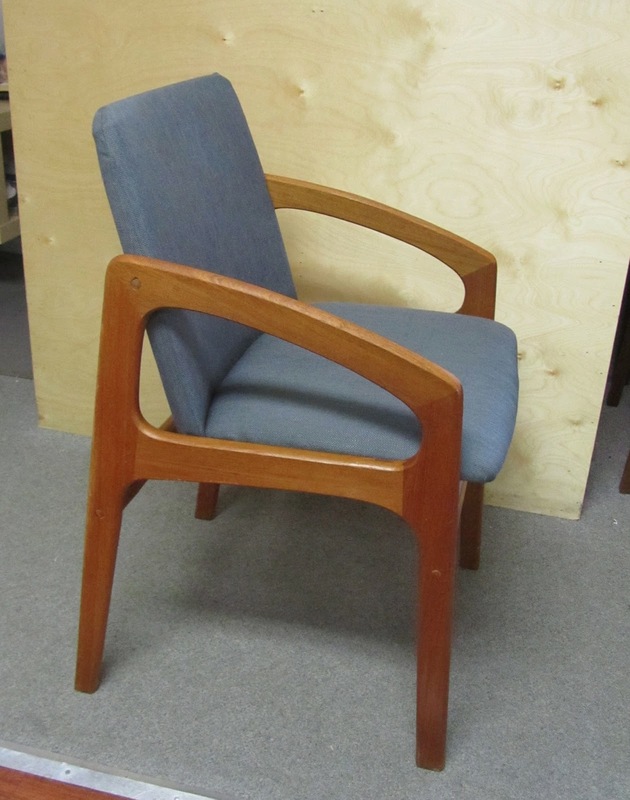 Last week I bought these Kai Kristiansen style danish teak dining chairs. They had been recovered in a hideous 1980s floral fabric. Heather reupholstered the cushions and I refinished the wood frames. It was great to bring them back to their origninal glory. They are now available at Hawthorne Vintage. 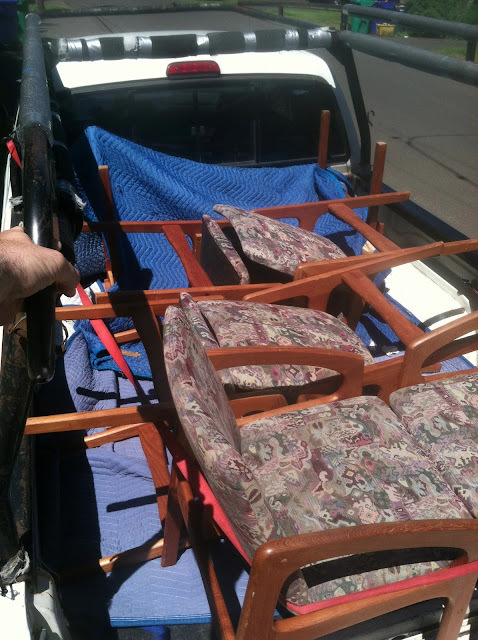 Here they are all stacked up in my truck in their previous state. Here they are recovered and refinished in the front room of Hawthorne Vintage.